O:inc, one of the companies identified by Morgan Stanley, was started by an entrepreneur who had seen colleagues taking extended sick leave or quitting because of sleep deprivation. Junya Tanimoto, the company’s founder, says there were many similar cases across corporate Japan but no services to tackle the problem seriously. 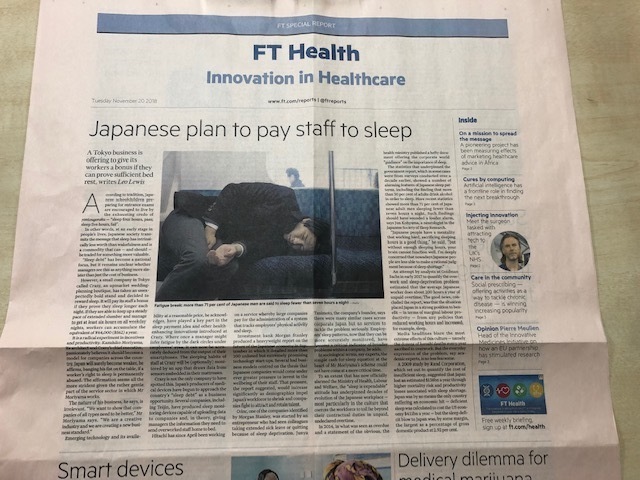 Employees’ sleep patterns, now that they can be more accurately monitored, have become a critical indicator of broader problems within a company, he adds.